When we talk about TDS on interest then interest comes either from your savings account which is not eligible for TDS on FD/RD. RD is basically a kind of Fixed Deposits (FD) which deposited in the bank at regular installments as per the scheme. While FDs are for those who have a large sum to secure, RDs are good for those who can save only a small sum from the salary every month. 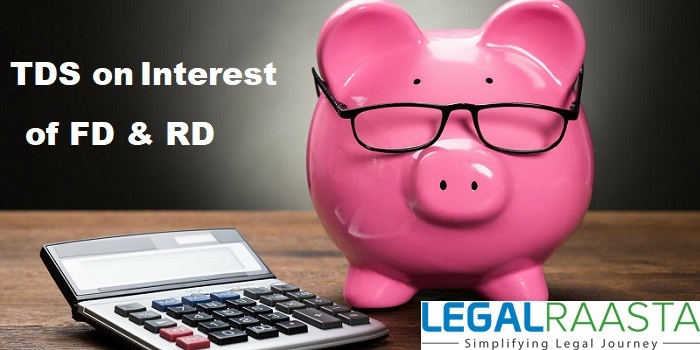 The interest earned on RD can either be retained in the RD account or thus reinvested or can be withdrawn or redirected to your savings account. An interest of TDS on FD is liable to be deducted @ 10% by the Bank of the amount paid or expected to be paid during the financial year exceeds Rs. 10,000. The limit of 10000 is for per individual per branch i.e. if an individual received more than Rs. 10,000 as interest from different branches but the interest received per branch does not exceed Rs. 10,000, no TDS would be deducted. In other words, TDS is only deducted by the Branch when the interest payout by that branch is more than Rs. 10,000 in a financial year. TDS on FD means that at the time of payment of interest, the bank will deduct 10% of the interest as TDS and submit or deposit to the government. 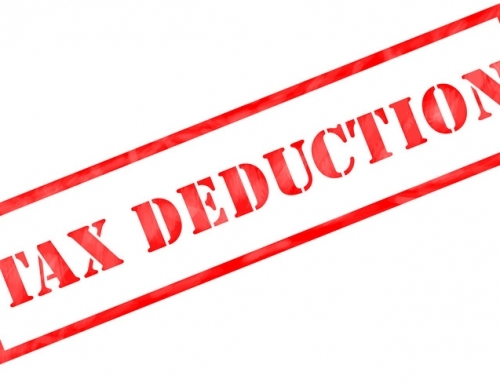 This amount so deducted would form a part of the total tax that has been paid by you. 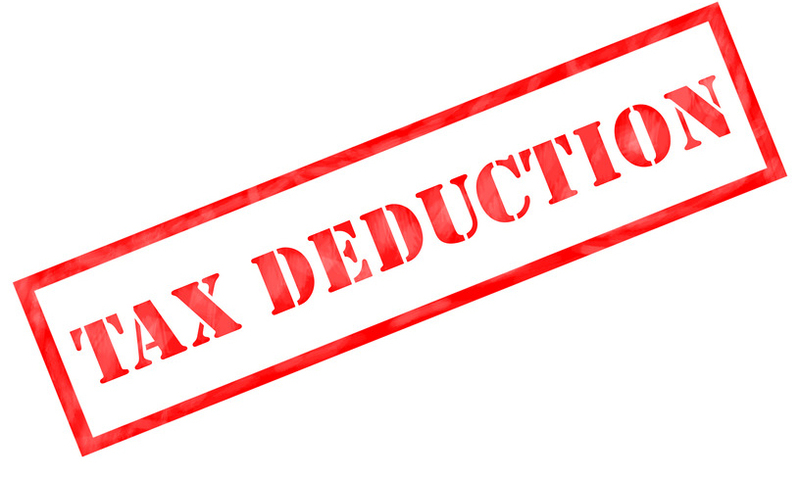 If the total tax liability on the income of an individual is more than the TDS that has been deducted you would be required to pay the tax shortage. If the total tax liability is less than the TDS that has been deducted, you can apply for Refund of TDS. If your aggregate tax liability is nil and still bank has deducted your TDS then in that case you have to request for TDS refund at the time of filing of income tax returns.To avoid this deduction and refund process, the Government has introduced form 15G/15H. Under section 197A if a taxpayer furnishes these forms then on receipt of Form 15G and 15H, the bank will deduct less TDS or zero TDS or as per the income, you declare. These forms are valid for 1 year only, and new forms need to be submitted for the next financial year if you need to enjoy its benefits. TDS on interest on RDs would be deducted at 10% of the interest earned by the Recurring Deposit(RD) under Section 194A. But if the interest earned is less than Rs. 10,000, then the amount is exempt from tax. 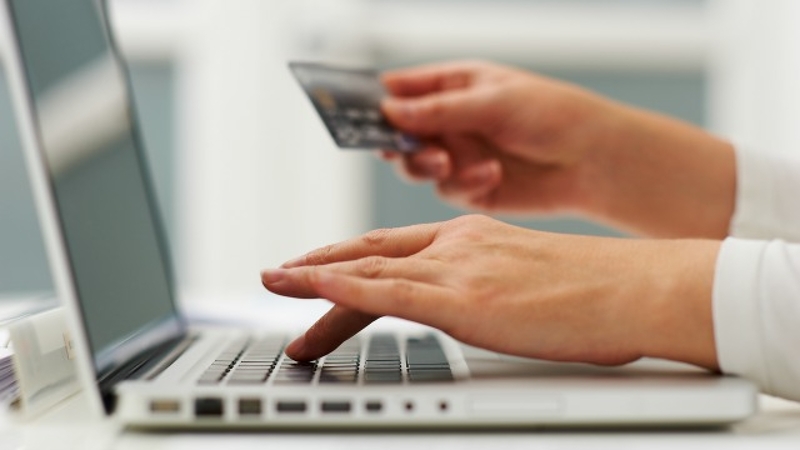 However, if the bank does not have your PAN information, TDS will be levied at the rate of 20% of the interest earned. 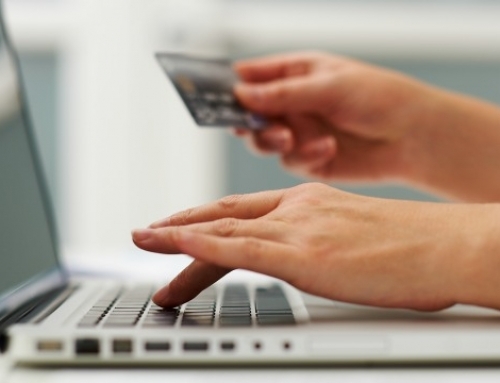 The interest earned will be added to your income and tax will be computed as per the income tax slab you fall under. If the total tax due after this addition is less than the TDS deducted at the disbursal of recurring deposit interest, then you can claim a refund on the TDS paid. It is necessary to declare the interest earned as income in your income tax return if TDS has already been deducted on the interest earned on RDs. The above table is the comparisons of 3 small savings instruments. If you are investing large amounts, or intend to save a regular amount every month, FDs and RDs give you better returns than if the amount lies in your savings account. 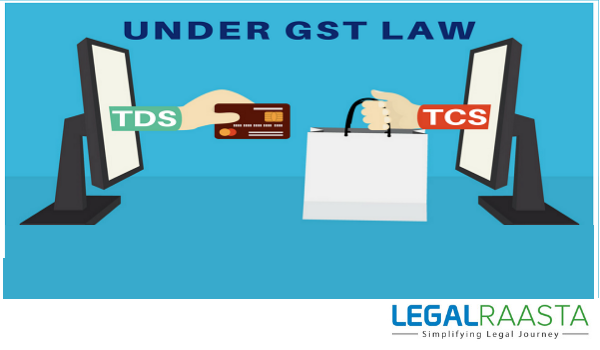 In case you are confused about TDS Return Filing as a deductor, feel free to consult the experts at LegalRaasta. 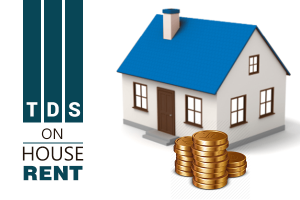 You can get comprehensive assistance with our TDS Return Filing Software which supports TDS on Salary payments (Form 24Q), Rent, Interest, Commission and other Non-salary transactions (Form 26Q), NRI (Form 27Q)and TCS (Form 27EQ). 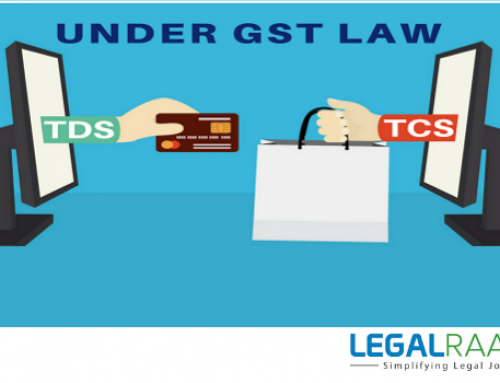 TDS and TCS under GST TDS and TCS provisions will be applicable under GST will be applicable from 1st October, 2018 with TCS rates declared at 1% of net taxable supplies. September 24th, 2018 | Comments Off on TDS and TCS under GST TDS and TCS provisions will be applicable under GST will be applicable from 1st October, 2018 with TCS rates declared at 1% of net taxable supplies. Is TDS to be deducted on the amount of GST?